Sometimes, additional information is a must; other times, it’s a helpful bonus. 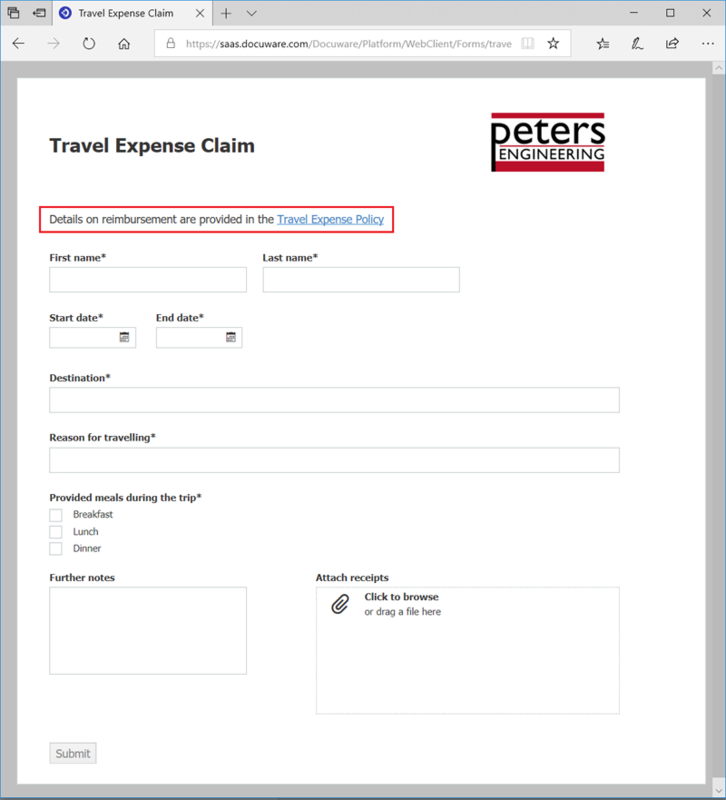 That’s why you can insert links to any web pages straight into DocuWare Forms. On your website’s career section, you use a DocuWare form for online applications. Here applicants enter their personal data and upload documents such as a resume and certificates. In order to comply with legal requirements, you embed links to your company’s hiring and privacy policies right in the form. 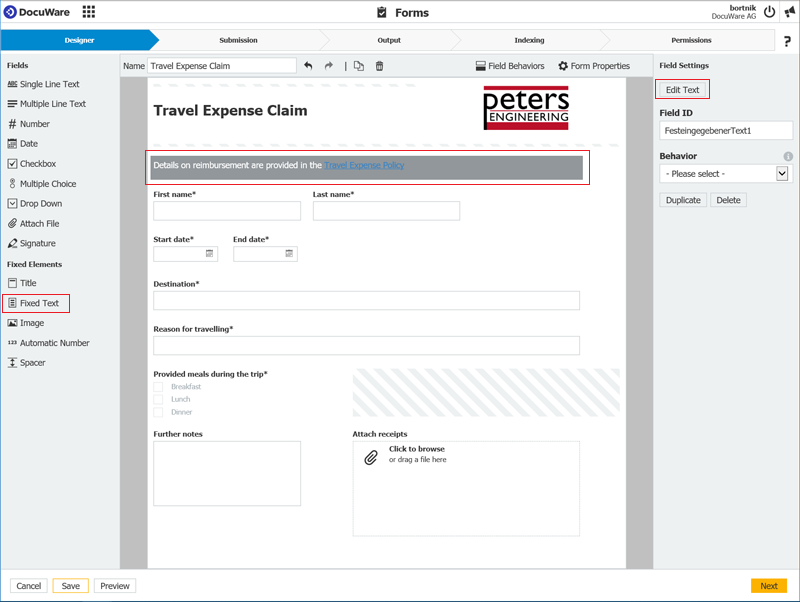 To collect registrations for an event, you publish a DocuWare form. To give potential guests access to all information directly from within the form, you simply include links to the website of the hotel where the event takes place and to the day‘s agenda. To the right of field settings, click Edit Text. 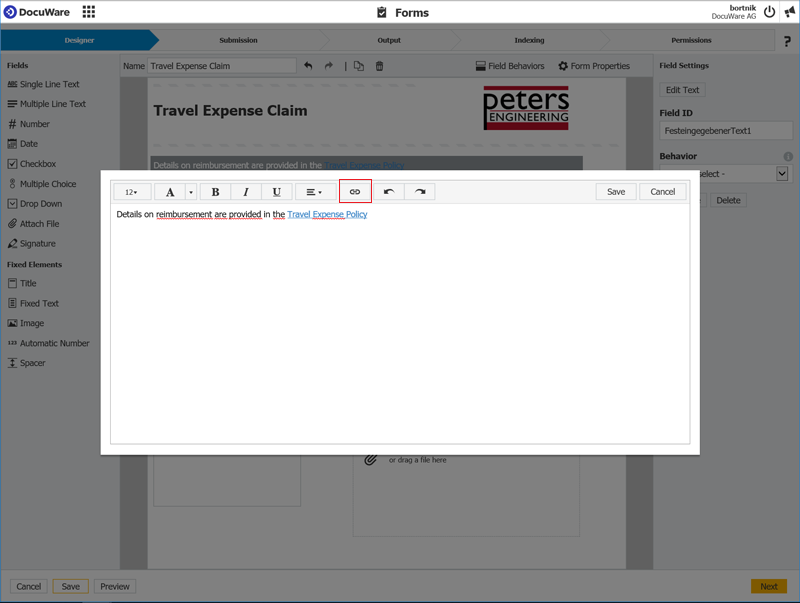 This opens an additional window to let you format your text to best suit your needs.